It is so refreshing to do business with such solid people! I'm convinced they truly care about their customer and stand 100% behind producing a high quality service. It shows they love what they do, and do it well! "I had a tremendous experience in working with Bobby and his team at Imperial on a complete renovation of my front & back yard at my residence in the Arcadia area in 2013. Bobby has a "vision" that is extremely unique and talented, and I am very pleased with the hard work and commitment that Imperial put in to my home. It really felt as if they were creating this concept " just for me", yet with the unwavering integrity that felt as if they were building it as "their own personal residence". I am VERY proud and happy with my amazing front/back yard results, and I would recommend Imperial in the highest manner: integrity, vision, commitment to making the client happy and follow up support. I would be happy to discuss my experience with anyone considering Imperial, as I am thankful for the great work they did for me." Started the rigorous process of looking to build a pool in our backyard. My wife and I, along with our 3 kids, had 3 different pool quotes/designs from Presidential, California and Dolphin Pools. Within a few days’ notice Bobby came out to do an initial walk through, take measurements and create a pool design. The previous quotes/designs did not compare to Imperial Pools and Landscape. The layout, size, fence, equipment, material, time frame and the expert knowledge Bobby has is top notch. Simply LOVE the fact Bobby pays attention to every detail from inception to completion including kids safety. I would HIGHLY recommend Imperial. Imperial Pools & Landscape is a rare find. Bobby has a truly creative vision, no matter what the project is. I am thrilled with the design of our front yard and love the welcoming look our home now has. He and his team are not only creative but dependable, honest, professional, punctual and attentive to detail. We have used Imperial for numerous projects for work and home and would highly recommend this extraordinary company for any remodeling or design project you are considering. You will not be disappointed! I have used Bobby at Imperial Pools & Landscape on multiple home projects. What I like most in working with Bobby is the creative confidence of how he envisions the finished product. He has the experience and expertise to design, create and complete the project.. and let me tell you, the results have been great! My husband and I are absolutely ecstatic with the new, updated look to our yard! It has the look and feel of a resort!! Bobby was so awesome to work with - he is truly intuitive, talented and creative. It was like he knew exactly what kind of look my yard needed. I am so glad I put my trust in him! His crew worked diligently, completing the project in a timely manner. I appreciate their hard work and they always seemed to keep a smile on their face! And, of course, it was a delight to work with Renee - she was great with communicating with me on the project from start to finish. It is so refreshing to do business with such solid people! I'm convinced they truly care about their customer and stand 100% behind producing a high quality product. It shows they love what they do, and do it well! We're glad we made the right decision by having Imperial design our project. We love our yard now! We couldn't be happier! We at Imperial Pools & Landscape would like to take the opportunity to introduce you to our company. We have been completing outdoor projects, like custom pools, hardscaping, and landscaping, for the past 25 years throughout the Valley. From design to completion, we can handle every aspect of your job. Whether we are simply discussing pool designs or building a custom pool or landscaping project, we at Imperial Pools & Landscape take great pride in all that we do. When you work with us, you can expect transparency, integrity, and unrivaled quality. 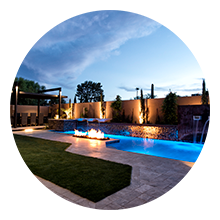 At Imperial Pools & Landscape, we are constantly researching the latest technology to remain as energy–efficient and environmentally friendly as possible—not just as pool builders but also as business owners. This is why we recommend Pentair® equipment. 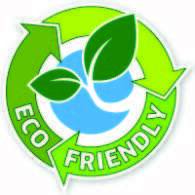 They have created the Eco Select brand designation to identify their most eco-friendly pool and spa equipment choices. Join us and other pool companies in embracing a more energy-efficient and environmentally responsible future by adding Eco Select brand products to your poolscape. Being as green and as efficient as possible comes down to a pool builder’s willingness and ability to put the necessary thought and planning into each and every project. The overwhelming majority of pool contractors apply the same plumbing schematic and type of pump to every job. At Imperial Pools & Landscape, we take pride in offering an individual approach. With each pool design, we take the time to configure the most efficient and cost effective plan possible. This is the real difference between a truly custom pool builder and those pool companies who are custom only in their ability to design any shape of swimming pool.